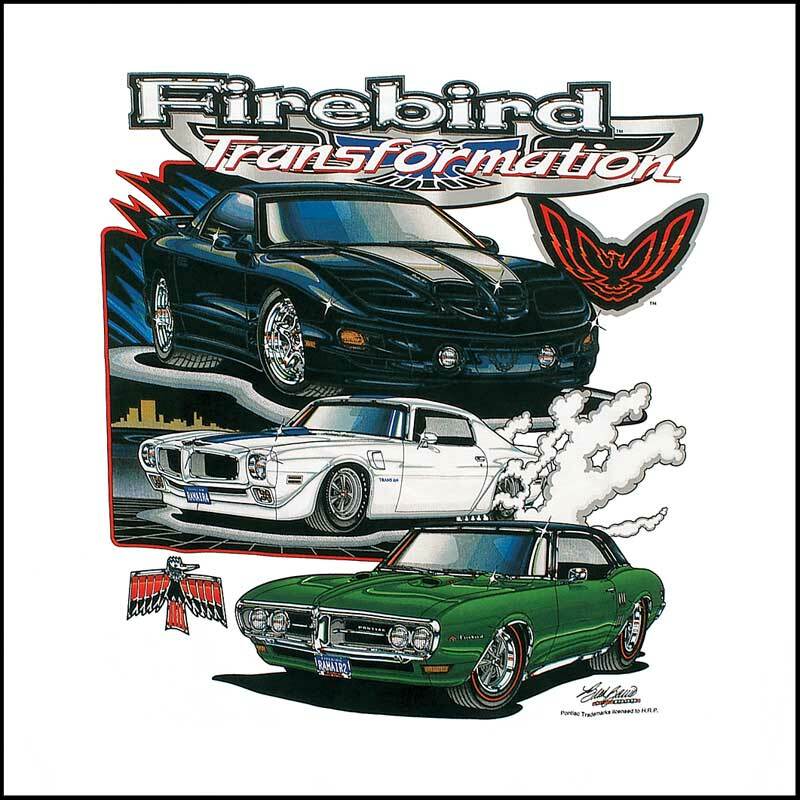 Firebird Transformation T Shirt: This T-shirt is a colorful way for showing the amazing transformation the Firebirds and Trans Ams have gone through over the past three decades. 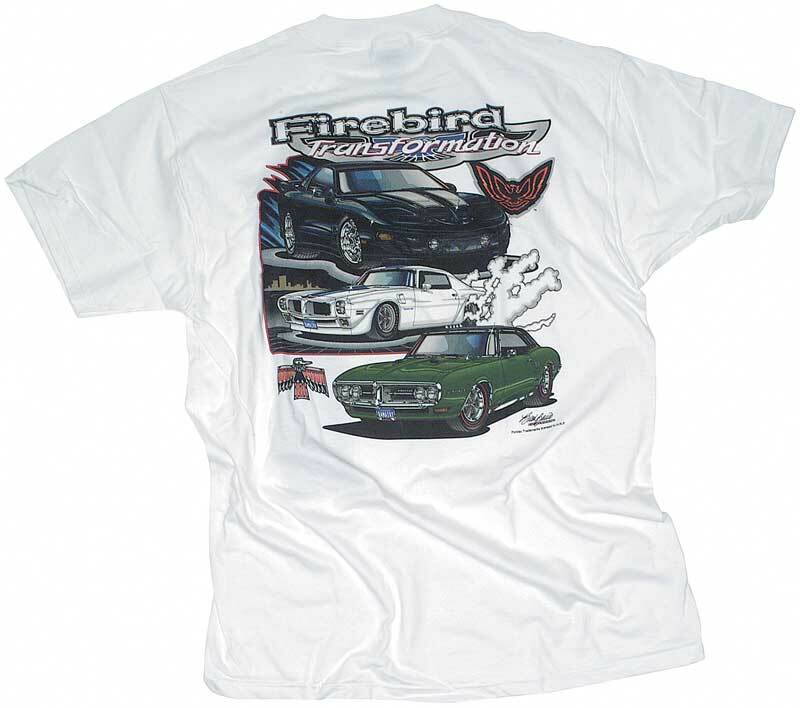 The front of the T-shirt is just as striking with the 1970-72 blue Trans Am stripe & bird running down the left side of the shirt. 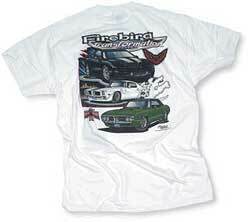 Produced on 100 percent cotton and made in the U.S.A.